My first taste of going to Palestine? A rebuke by an Israeli citizen who I encountered at the Istanbul airport — a British woman married to a Jewish Holocaust survivor. “You’re not going to Palestine,” she insisted. “It’s Israel. I live there!” A warning that I dare not be flip. She critiqued the current government, and to convince me of her true leanings, revealed that her Jewish grandchildren attend a bicultural school with Arab children. Neve Shalom. Our flight did land in Israel. The promise land of milk and honey. Where has that promise gone? It’s truly two countries, highly separated. Two prisons that keep people from knowing each other. Early on, at the entry of Aida Refugee Camp, we experienced the remnants of tear gas. Bored young Palestinian boys ran from Israeli soldiers who play by different rules. This brought up an ironic memory from an SOA Watch delegation to Santiago, Chile: my first ever whiff of tear gas from security personnel repressing a crowd of demonstrators. On later visits I heard accounts from student protesters who have suffered the full effects of a type of tear gas that clings to and burns the skin. It came from Israel. A more positive connection to Chile: 300,000 people with Palestinian heritage live in Chile due to a long history of migration. One Palestinian shopkeeper told us this dates back to 1930. 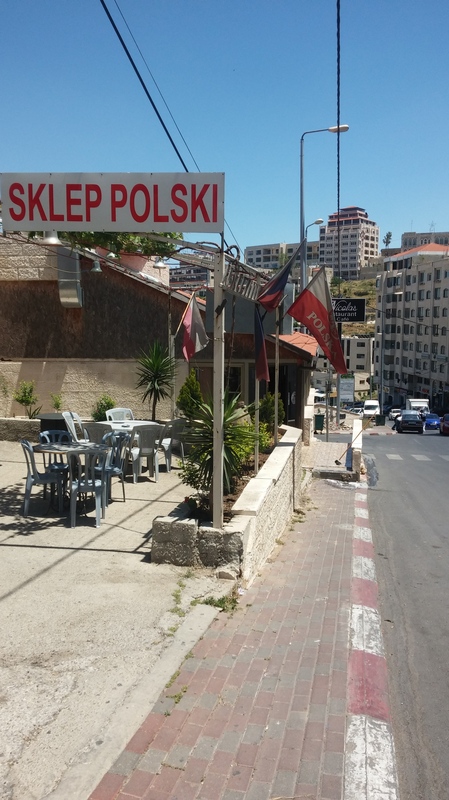 I also found a number of Polish connections along the tourist route, including the Sklep Polski (Polish Shop) near our conference hotel, owned by a hospitable Palestyński. We shared our beginner’s Polish over coffee. In the next days I hovered near several tour groups with Polish guides. We joined groups from around the world—a number from Spanish-speaking countries—as we walked where Jesus walked. I reconnected with the spirit of John the Baptist in a cave at the end of a long hike through some impressive Roman ruins in Sebastia (near Nablus). A few at a time, we descended into a barren cell that may have been where his body was buried. A painting of his head on a platter, with an icon and some flickering beeswax candles honored his fearless witness and inspiration. John the Baptist, Presente! My kind of guy. 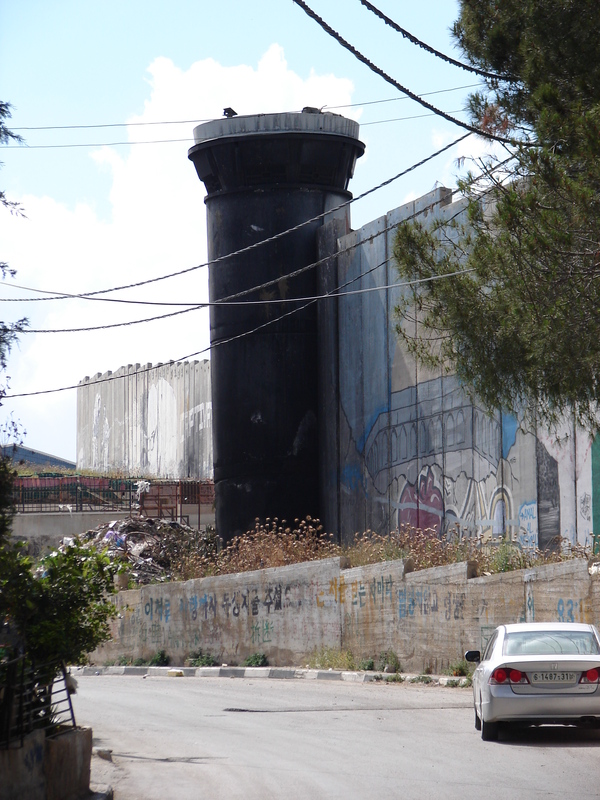 A timelessness about the setting, and a timeliness for solidarity with peace-minded Israelis and Palestinians. 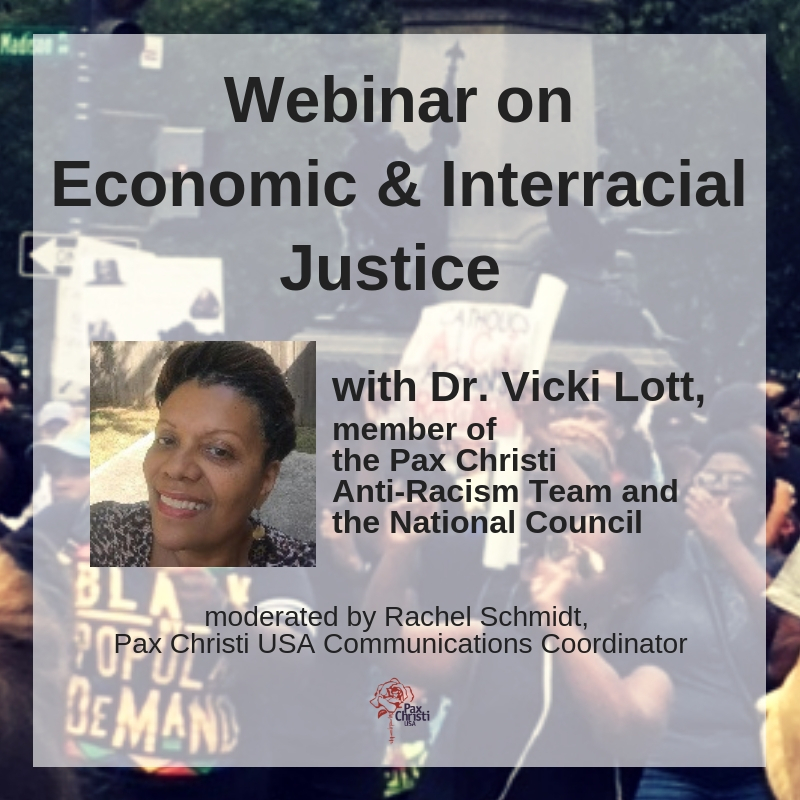 The Pax Christi International 70th anniversary conference – a global citizen assembly – could not have been in a better place than Bethlehem. A birthing place. The people of these beautiful and historic lands once lived together. It is our turn to lend a hand in the peace process. And despite everything, to remain hopeful that good will overcome evil. Click here to see more information on the Pilgrims on the Path to Peace delegation, including photos, additional posts, etc. “A timelessness about the setting, and a timeliness for solidarity with peace-minded Israelis and Palestinians.” Love this, Judith. And thanks for the memory of coffee with the Polish-speaking Palestinian shopkeeper near the hotel.